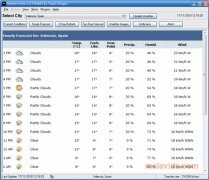 Weather Pulse is a useful application that will indicate the current weather in your city and the forecast for the next few days. 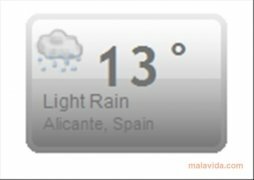 But, furthermore, you will also be able to choose the city that you want to know the weather forecast for, and thus find out if the weather will be good during your next trip or holiday. You'll also have access to satellite images from anywhere around the world. The first thing you have to do when you launch the application is to select the city that you want to find out the weather for. 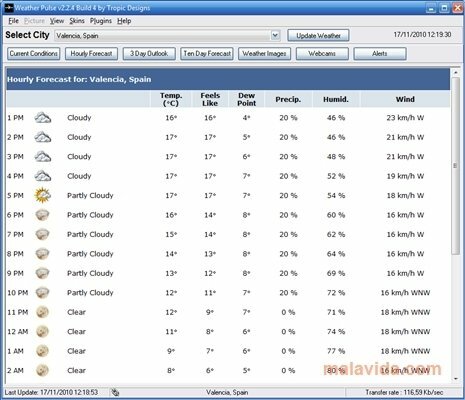 Once you have selected the city, Weather Pulse will show the current weather data: temperature, thermal sensation, humidity, wind speed, and of course, if it's raining, sunny or cloudy. 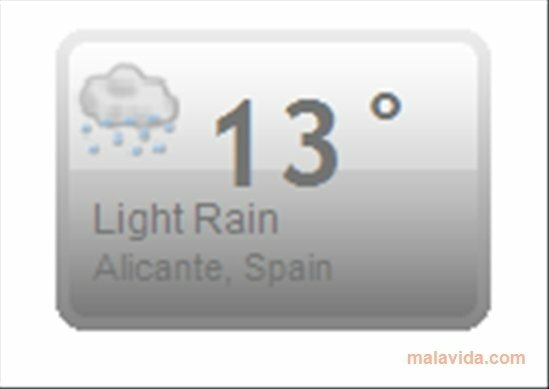 But the feature that comes in very handy of Weather Pulse is the possibility to know the weather forecast for the next few days: you can know find out the weather for the next hours, and during the following days. With Weather Pulse you can observe different satellite images of various areas of the planet. You only have to choose the satellite that you want to see the image from. Furthermore, Weather Pulse shows a small box on your desktop where you'll be able to see the temperature and the weather status in your city. Don't let the weather surprise you and try out Weather Pulse.